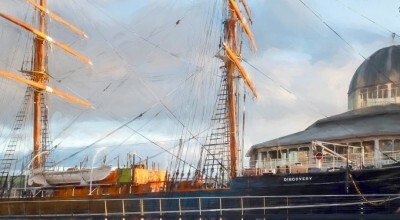 The Scottish Maritime Museum presents ‘Age of Oil’, developed in association with National Museums Scotland. This temporary exhibition showcases the work of visual artist Sue Jane Taylor from her residences on North Sea oil platforms. Over the past decade Taylor produced artworks, films and hundreds of sketches capturing day to day life and work on the platforms. She has witnessed the decline of the oil and gas industry and documented the developments in renewable energy undertaken in Scotland. 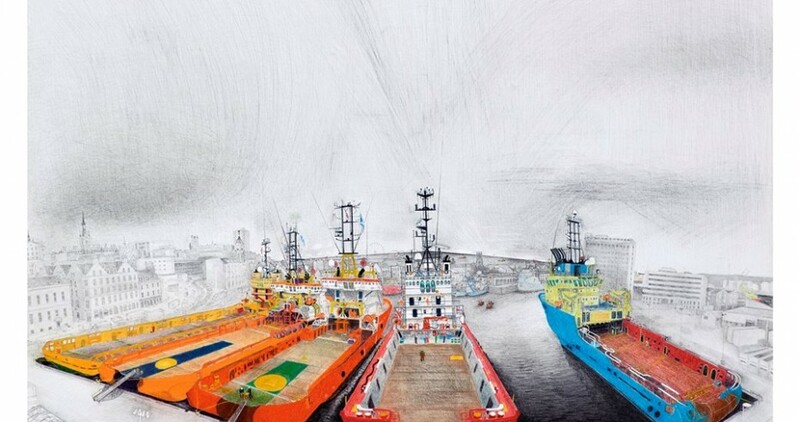 “This exhibition focuses on my North Sea artworks from the last decade. Visually these offshore installations are brutal, not bonnie, built for pure function, crude oil and gas production, and more recently renewable power generation. I have witnessed at first hand the start of the oil & gas industry’s immense decommissioning programme, which constitutes such a complex and fascinating period in North Sea maritime history.